Supposing you’re into little British cars, but the usual sporting offerings from MG and Triumph are a little too common, a little too fast, or don’t have enough cargo capacity. Supposing you like the new Ford Transit Connect, but it’s just a little too… modern, with its fuel injection, insulation, radio, and more. Well, today’s your lucky day, since we’ve got a 1950s British utility vehicle that gave the Hillman Husky and Morris Minor vans a run for their money in its time. 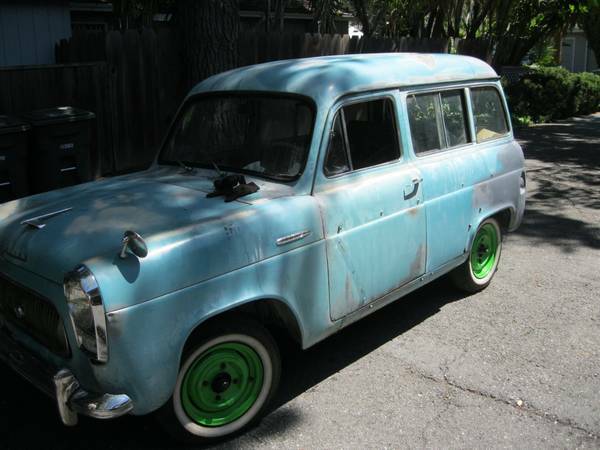 You can find this 1958 Ford Squire for sale for $3500 in San Carlos, CA. The 36bhp side-valve engine will rocket you to 50mph in 20ish seconds. If you want to do 60, fill out the request form now, as the car’s top speed is just under 70 and it’ll need ample notice. As you can see, it has the 4-door Prefect’s (closely related to the Anglia more Americans will recognize) short front doors, allowing room for the back to become a large cargo hold. It also has the clips from where the trim was – if you’re good at finding the Big Dipper in the sky, you should be able to make out the original shape of the trim. 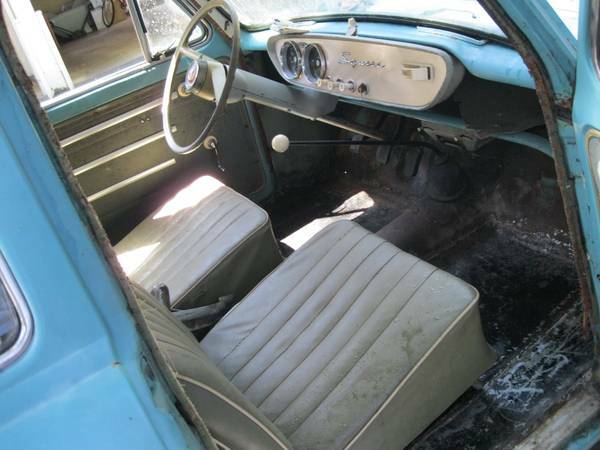 Paint is faded, but seemingly limited rust makes this car an appealing project. 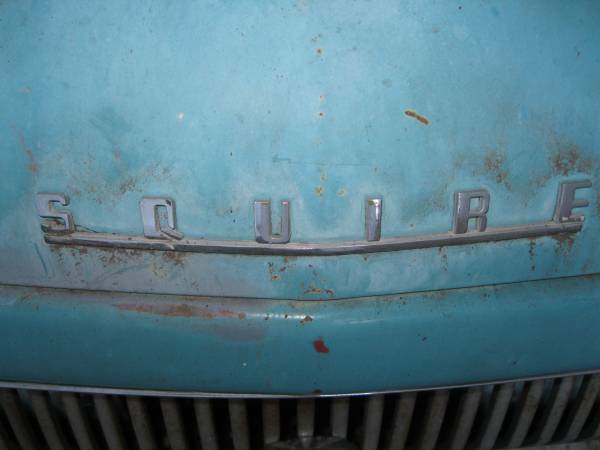 Squire is defined as “a man of high social standing who has significant land holdings,” probably not likely for most historical owners and drivers of this vehicle. This close up shot makes it look like there’s some overspray on the badge, so the car was maybe repainted at some point in its history. The passenger side of the car appears to have some shallow dents, but again not any visible rust. The interior looks complete, though there was likely some kind of rubber mat covering the floor. On the bright side, you can see some rust has been fixed. The seller says it’s a solid car with a good drivetrain – sounds like the basis for a good driving project, and you can be the only one at local car shows while having a useful little errand car. And people can say “Morning, squire!” to you when you pass. This entry was posted on October 14, 2014 at 3:30 pm and is filed under Feature. You can follow any responses to this entry through the RSS 2.0 feed. You can leave a response, or trackback from your own site.